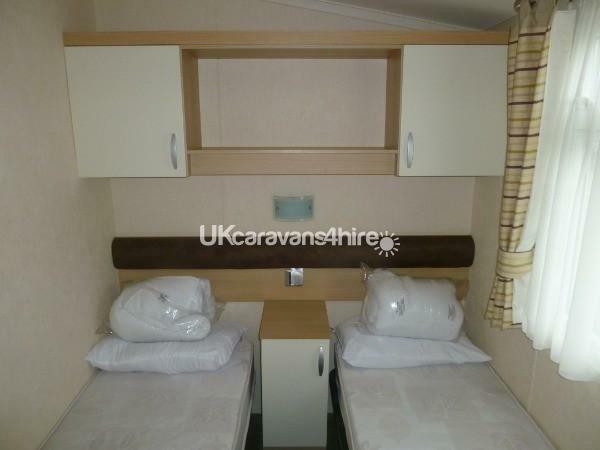 £100 holding deposit to be taken at time of booking.Full payment for cost of hire to be paid 4 weeks before holiday date.Deposit will be refunded once caravan has been cleaned and checked for damages. 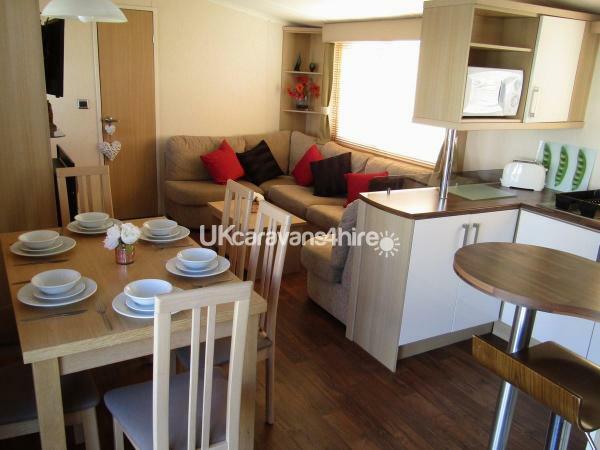 Welcome to our lovely family home from home, Swift Serenity 3 bedroom 2 bathroom caravan, situated on Havens 5 star holiday park at Weymouth Bay. 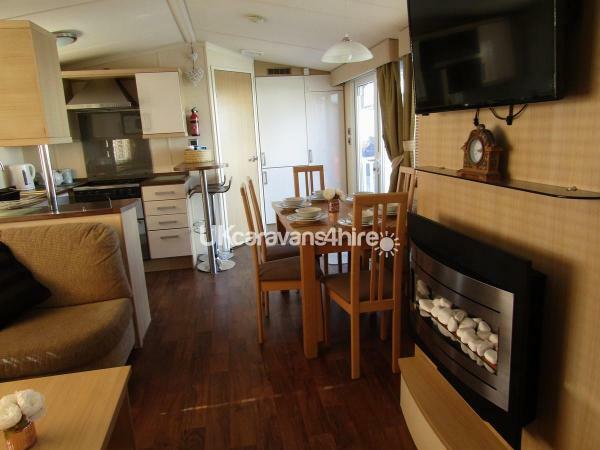 Our Double glazed and fully central heated caravan is situated on a good size plot with ample parking and is positioned in Hill View, roughly a 3/4 minute walk away from the main entertainment centre and indoor and outdoor swimming pools. The buggy friendly footpath to the beach at Bowleaze Cove which has an amusement park, café/bar, gift shop & fish & chip shop is at the bottom of the road and takes approximately 5/10 minutes to walk. Comfortable lounge with ample seating, gas fire with Freeview TV and DVD player, books, lots of DVDs and selection of board games for cosy nights in or rainy days. The dining area is adjacent to the lounge with dining table and 6 chairs. The kitchen is fully equipped including 4 ring gas hob, grill and oven, Microwave, full size fridge/freezer, kettle and toaster. Crockery, cutlery for 8 people and good selection of cooking utensils are provided. The main bedroom is a double, carpeted with benefits of having en-suite, shower and W/C and radiator. There is ample wardrobe with coat hangers, dresser storage, mirror and bedside cupboards. The second and third bedrooms are twins, carpeted equipped with wardrobes, hangers, centre bedside cupboard and radiator. 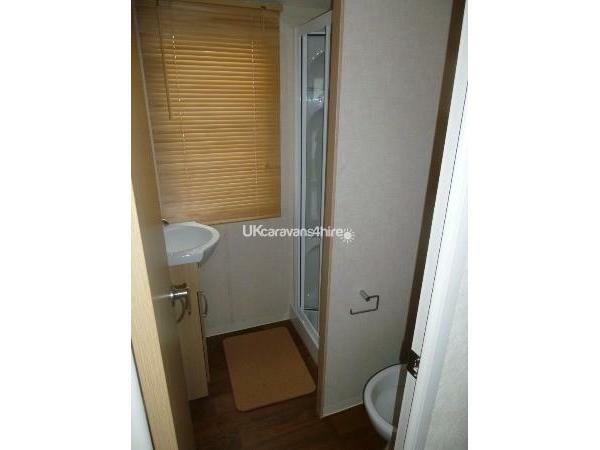 Bedrooms 2 and 3 share a second bathroom consisting of shower, wash basin, WC and radiator. Further storage space in hallway. We also provide a hair dryer, an iron and ironing board and a Vacuum cleaner, and clothes area. A fire extinguisher and smoke plus carbon alarms are installed for your safety. Outside there is a gated, lockable decking area to stop little ones escaping leading to a patio area with table and chairs. We have ample off road parking and a bike rack. Duvets and pillows are included all mattresses have protected covers, but please be aware that bedding (sheets, pillowcases and quilt covers) need to be provided by yourselves. Linen & towel packs may be rented from the park reception at a small cost. Also high chairs and cots are also available to hire at a small cost. Welcome pack with loo rolls are included. PLEASE NOTE: Bath hand and tea towels, dishcloths and oven gloves are NOT provided. Haven Funworks passes for the entertainment facilities are not included in the price, however you can find out about prices by calling the park on 03332025255 or visit Haven Weymouth Bay website. These will also give access to the adjoining Seaview holiday Park. Haven Weymouth Bay boasts an indoor and outdoor heated pool with lazy river, evening entertainment, kids entertainment, amusements, bar and grill with sun terrace, children's play area, bungee trampoline, crazy golf, go-karts which require passes. There is also a Papa john`s pizza on site. 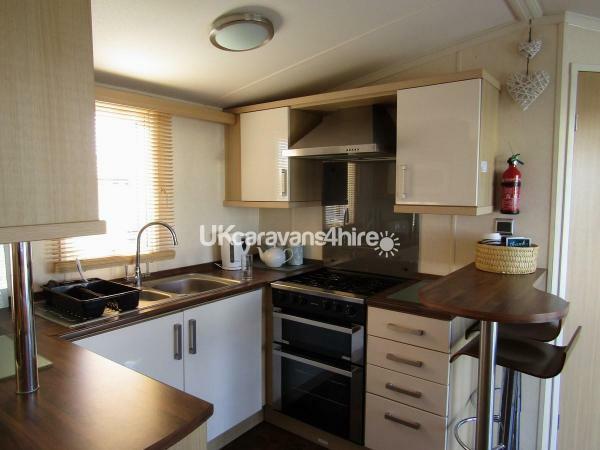 The occupier will be held responsible for any loss or damage during their stay, please respect our caravan and leave it neat and tidy, our holiday home is cleaned and checked after each stay, after which any refund will be made. For the benefit of other guests, smoking and pets are not allowed. Additional Info: Outdoor pool and Lazy river (requires membership pass). Fencing, Archery, Water sports, Aqua gliders, Hire Karts, Target shooting (available at an extra cost). Sports field. Children's play area. Papa Johns Pizza. Thanks for the review Sue , I’m guessing the 3 for accommodation was for the number of bedrooms and NOT for the accommodation itself . Glad you enjoyed yourselves and will be lovely to hear from you in the future . Stayed here with my partner and two young children, beautiful caravan in a perfect location. The lovely owner booked us in last minute at a great price. Would definitely recommend and we will 100% be back to stay again!! ???? Thank you Calesha for your review, glad you all had a great time and I was able to accommodate you at short notice. Hope to hear from you again in the near future. Regards Mary. We stayed in this caravan during a very wet and windy windy weekend in November. The hiring was simple and the owners very friendly. 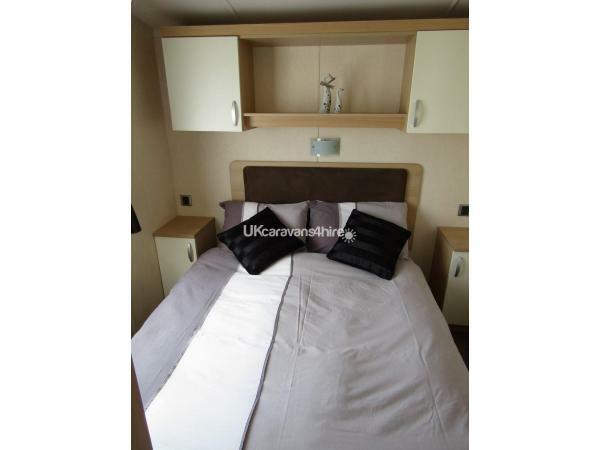 The caravan was fantastic - very clean and spacious. It was warm with ample hot water. The kitchen was well stocked with utensils, cutlery and pots and pans and the additional complimentary tea, coffee and biscuits were very welcome after a long journey. 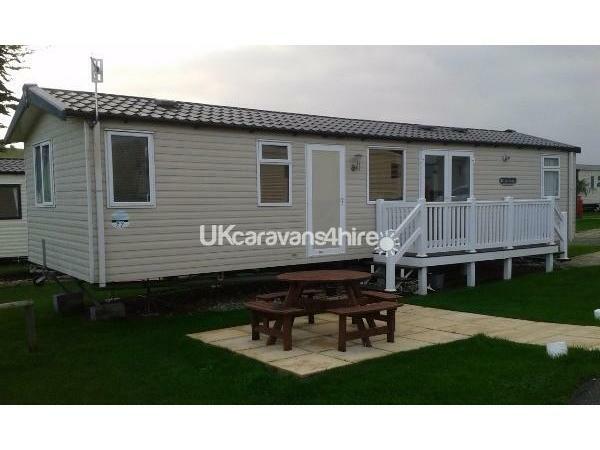 Despite the weather we had an absolutely lovely weekend and would recommend this caravan.